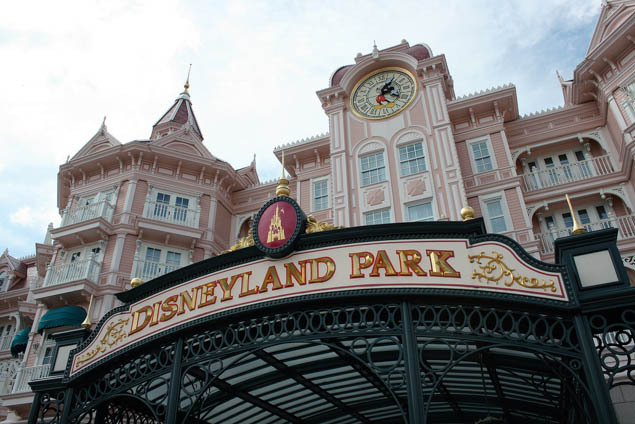 Disney fans looking to visit other parks around the world are drawn to Disneyland Paris as it is the only Disney park in Europe. If you’ve never been to Disneyland Paris, you’ll find a number of familiar attractions, shows, and culinary options. If you are looking to enjoy the best of Disneyland Paris, don’t miss out on any of these experiences. Dining with Disney characters is a beloved tradition dating back to the original Disneyland’s early days. Start the day with breakfast at Plaza Garden Restaurants where you can enjoy an American-style buffet and a Meet’n’Greet with your favorite Disney characters. For lunch, make a reservation at Auberge de Cendrillon, where you can dine like royalty in Cinderella’s banquet hall. Enjoy French cuisine and meet one or more Disney Princesses. Another lunch option is Inventions at Disneyland Hotel. For dinner, Café Mickey is the place to be. Here you can enjoy more casual fare like pizzas and pastas. Dining reservations are sought after and are often booked up quickly. You can book up to two months in advance of your arrival date, so it’s worth planning ahead if you really want to enjoy a character dining experience. Disneyland Paris features several exclusive attractions you won’t find at other Disney Parks around the world. Ratatouille: The Adventure is one of the newest attractions to open at Disneyland Paris Resort at Walt Disney Studios Park. This 4D experience takes you on a kitchen journey with Remy and friends when they are discovered by Chef Skinner, who chases you through Gusteau’s famous restaurant. The attraction Space Mountain Mission 2 has been transformed into Star Wars Hyperspace Mountain. While there is a Space Mountain attraction at most other Disney Theme Parks, no other rendition features inversions and a section of the track that extends outside and then brings riders back inside. Phantom Manor is another attraction exclusive to Disneyland Paris. It is similar to the Haunted Mansion attractions found at Disneyland, Walt Disney World, and Tokyo Disneyland, but with a darker theme. The story revolves around Henry Ravenswood, a Western settler who struck gold in Thunder Mesa. After a series of events, Henry and his wife were killed in a freak earthquake. Their daughter stayed behind waiting for her soon-to-be husband to arrive, but he never showed. She can be seen wandering the halls, still in her wedding dress, singing love songs while a sinister phantom stalked her every move. Like other Disney Theme Park, Disneyland Paris hosts several seasonal and special events each year. Some of the biggest events center around Christmas, Halloween, and Spring. Walt Disney Studios Park is ramping up with a number of special events as well. In 2018, they’ve done Star Wars and Marvel Summer of Super Heroes. Disneyland Paris hosts a number of different events that may or may not be annual events. For significant anniversaries, they bring out new merchandise, food, and sometimes new parades/shows. Depending on the time of year you visit, Disneyland Paris may have one or more events taking place. If you’re looking for somewhere to celebrate New Year’s Eve, Disneyland Paris is offering a special New Year’s Eve event at Disney Village featuring a special menu, live concerts, parades, and the Music Party at Billy Bob’s.